Black Cat Plus was founded in 2006 by Jodell Raymond. She says, "As a corporate trainer and consultant, I was always asked where I get my outfits. I ended up selling the clothes off of my back to the women in my audiences. I decided that the time had come to find stylish clothing and offer them to my customers. 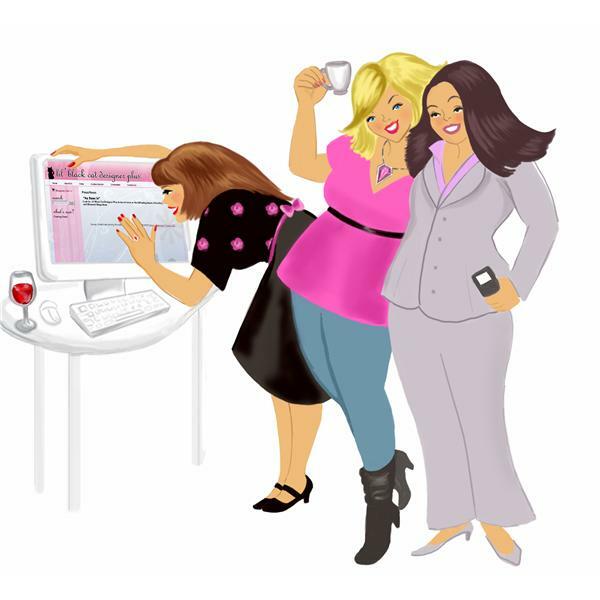 Today's woman demands fashion-forward, comfortable and great fitting plus size clothing! Gone forever are the muumuus and tent shapes in dark colors!" Black Cat Plus is known for its premier plus size clothing selections in sizes 1X-3X. We search to find our customers the best-of-the-best in stylish and contemporary plus size brands from around the globe. Black Cat Plus Radio: Live From the Catwalk!